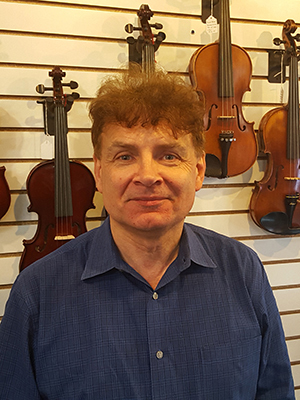 Dr Steven Schani is a free-lance violist in Northeast Wisconsin. He holds principal positions with the Fox Valley Symphony and the Water City Chamber Orchestra. He additionally holds membership in the Green Bay and LaCrosse Symphony Orchestras. Dr. Schani serves when needed as a string instructor at the University of Wisconsin-Oshkosh and teaches younger students both privately and as a sectional coach for the Oshkosh and Fox Valley youth symphonies. Dr Schani is frequently retained to perform chamber music on the UW-Oshkosh Infusion faculty chamber series. His work in chamber music began with membership in the Divertimento String Quartet in the late 1980s and has included participation in numerous groups, most recently Mozart with Zest, a small ensemble that has performed internationally. Additionally, he has worked as a studio player for several pop entertainers including Seals & Crofts, The Lettermen, and John Davidson. A diverse artist, his experience in the popular music industry extends to composing, arranging, recording, and producing commercial music for clients in the television and radio industries as president of Sharky Music Productions. More recently, he produced a collaborative recording with guitarist Charlie Combe. Dr Schani holds a D.M.A. from the University of Missouri-Kansas City. His previous degrees were from the University of Cincinnati-Conservatory of Music (M.M) and the University of Wisconsin-Oshkosh (B.M.). His primary teachers include Donald McInnes, Paul Coletti, Hatto Berely, and Joan Luce.